Learn how to make and fly a kite in your neck of the woods. Planning a trip to Southern California? All the fun is not necessary had at the amusement parks. Take a side trip to Seal Beach, a quaint beach town, that has much to offer. While there, you won’t want to miss the monthly Seal Beach Kite Club meetings. Click here to see what the city of Seal Beach has in store for you and your family. Then, venture to Hobby City for some additional free hands-on fun. Learn how to make a band in minutes. Yes, you and your children can make a coffee can drum and yogurt container shakers by following the easy instructions provided by Kidsongs.com. Montessorian Dale Gausman will show you how to make and introduce rhythm sticks in your school and home classrooms. Click here for details. The Blow Ye Winds , Paddle Wheeler and Erie Canal – and Wabash Cannonball are free extension activities from the guide written by Dr. Kathryn A. Short, for Kimbo’s CD release: “Songs About America,” Celebrating America Through Song.. See Kimbo for details. Download The Number Eating Alligator from Kidsongs.com and discover how these songs can be incorporated into your ECE and elementary math and music lesson planning. Click here for details. 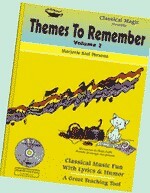 Marjorie Kiel Persons presents two marvelous integrated lessons for your summer music presentations. – Water Music Alla Hornpipe by George Frideric Handel. and Oh, How I Love Italy ? Music, Art, and Food seasoned with History and Geography See Click on this link to access both lesson plans. Dale Gausman, owner of the North American Montessori Center, shows how children can plan, prepare, and execute a Spring or Summer Tea. Dale’s Friendship Salad makes a perfect addition to the Spring Tea menu or any other event planned for the upcoming months. Click here for details. Learn how to present an authentic Montessori food unit study featuring the yummy Watermelon Blueberry Banana Split recipe. Planning a unit study about pirates? Try these three pirate snack ideas – Treasure Chests, Pirate Ships and Cannonballs, all of which, can be easily integrated into any pirate unit study. Click here to access the recipes. 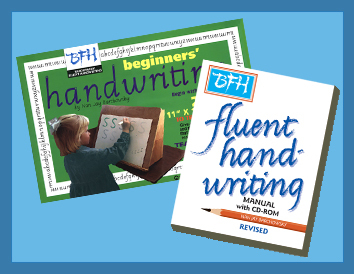 Are you looking for an additional aid to help inspire good penmanship? Nan Barchowsky may have just what you need. Check out A Bit of Yarn for Good Pen Hold http://www.amonco.org/summer2/montessori_summer2.pdf by clicking here. 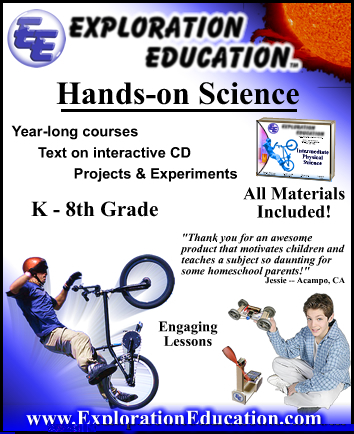 Begin the summer science learning adventure with hands on fun. 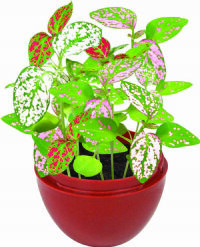 Children will discover how to change the color of a flower and how water travels up plants by participating in the Changing a Flower’s Color activity submitted by Dale Gausman. See http://www.amonco.org/summer6/montessori_summer6.pdf for details. John, from Exploration Education, presents an excellent, fun-filled simple and effective activity about static electricity is for children six and up. Click here for details. Summer gardening can be especially meaningful if you plan ahead. A Gardening Unit Study (With the Focus on Summer)Montessori Lessons will provide the info you need to customize your garden lesson planning. Find the gardening resources and lesson plans now, so that you embark on your summer gardening journey when late May arrives. In Nurturing Budding Botanists – Learning and Teaching the Basics of Plant Science, author Sara L. Ambarian has provided the indepth botany lesson planning information and resources needed Click here for details. Receive some free hands-on algebra exercises designed by Dr. Henry Borenson See Hands On Equations for details. Check out DIanne Knesek’s Montessori problem solving lessons by clicking here. What type of learner is your child? Mariaemma, from Coaching for Learning Success(tm), has the resources you need to discover the answer to this question, plus she has generously contributed her Basketball and Whole Body Memorizing Activity. Access this information, as well as The Whole Body Learner – Gifted for Moving! article by visiting Click here for details. THIS and THAT…. Additional unique, creative lesson planning info. Are you taking your class on a literature journey? Why not start with the classics. Let Rita Arpaia of literature.com show you how. Point your browser to http://www.amonco.org/summer6/montessori_summer6.pdf Read Rita’s other articles and learn more about how literature.com’s resources for your school and homeschool libraries. Sara Ambarian has written a two part article which will further help you with your selection of children’s books. In http://www.amonco.org/summer2/montessori_summer2.pdf Part I of her article, you will learn about the books selected by the AMC resource participants. In http://www.amonco.org/summer4/montessori_summer4.pdf Part I read about community recommendations. This balanced article is sure to help you select just the right books for your school and homeschool classrooms. Now, with these fun activities, recipes and lessons, you are set to make this summer the best yet! I recently revised and uploaded the new 2015 AMC Montessori Lesson Planning Springtime Newsletter. To see the contents of this newsletter please see below. Peruse through the entire lessons. Then, download the new AMC Montessori Hands-On Creative Lesson Planning Newsletter. You can also access this newsletter by visiting http://www.amonco.org and clicking on the new eBook Library. Below, is just a partial listing of the offerings included in the newly uploaded AMC Montessori Spring Hands-On Newsletter. Montessori Dianne Knesek reminds us that numeration is the basis for all math concepts. An important aspect of that understanding is the ability to sequence numbers from least to greatest. Exercises are very easy to make. The Language Salons are the brainchild of Director François Thibaut, who’s been a foreign language teacher since the late 1960’s. Thibaut’s best known for founding the renowned Language Workshop for Children and the Cercle Franco Americain French of Adults program in 1973. Read about this program in Part I of this newsletter. Rae continues to show us why we should visit the Creative Process website. Her innovative ideas will greatly add to your spring lesson planning. 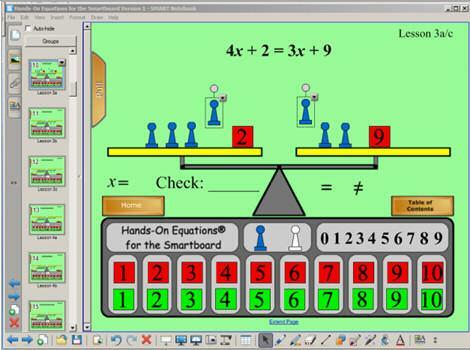 Dr. Borenson shares some free Hands-On Equations® Basic Algebraic Concepts. Montessorian Richard Lord offers free Downloadable “Simple Reading Books” & Free Geography Set of Land and Water Form Cards. Learn also how to make a flannel board from Fun Felt. Nan shows us how to make some delicious peanut fudge. See how you can plan extension lesson exercises combining handwriting, cooking and illustrating!!! Does your middle school student enjoy participating in fun, challenging puzzles? Are you looking for some activities to help your student prepare for the ACT or SAT? In honor of two major spring holidays, Alan Stillson, the author of Middle School Word Puzzles, invites you to find these words and expressions that are related to Easter or Passover. Alan also offers some fun, challenging food puzzles for middle school students. Check out the new free samples from Alan’s newest book, Brain Warmer Uppers, as well. It’s Time to Think Outside the Book and Kindle, Too! Curious? Read this section to find out how you can use the creative ideas of Rita Arpaia from Literatureplace.com in your home and school classrooms right now! Dale Gausman, from North American Montessori Center, offers the timely Introducing a Bird Feeder and Making Grass-Eggshell People. 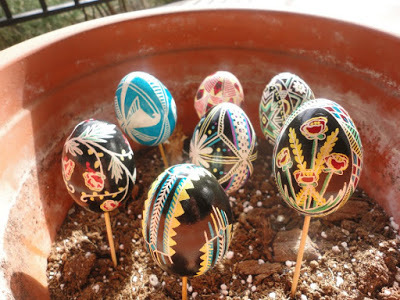 You will also found three additional outstanding Montessori extension exercises – My Family Tree, Marble Design Paper, and Montessori Easter Activities: Ukrainian Easter Eggs in Culture and Science Curriculum with free .pdf downloads – all offered by NAMC. Marie and Kim illustrate how drawing helps children develop a mental map. Discover a Montessori extension exercise that is designed for age group 5 to 95. Look for the Guide/Extension Activities by Dr. Pam Schiller in this section of the newsletter. Find the lyrics and directions for the song, “The Alphabet March and Match”, by Pam Schiller, Ph.D., from the new Kimbo Educational CD release, Move and Learn. The focus of the song is on letters, which aids in literacy knowledge. Move and Learn is a unique resource, providing 17 guided, action-packed educational songs, featuring concepts and skills that are necessary for every child to learn, including numbers, colors, literacy and more. Dr.Borenson, from Hands-On Equations®, offers more samples of algebraic concepts. 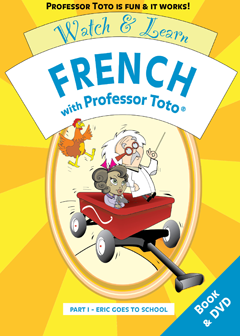 Download free French and Spanish songs with translations from Professor Toto. Ruth shares a needlepoint lesson which is designed for students 12 years and older. Marjorie shares a classical music lesson plan for springtime from The Four Seasons by Antonio Vivaldi. Download the new, free “Anti-gravity water – is it possible? science activity from Exploration Education. Montessorians will appreciate the imaginative George Washington lesson planning ideas that author Sara Ambarian has provided. Traditional colonial recipes are featured and can easily be incorporated into Montessori’s practical life exercises. Sara has done an excellent job of presenting sufficient information about this subject, without bogging down educators with too much data. Diana, from Nature’s Workshop Plus, knows that we are all looking forward to the beauty of spring, so she showers us with some springtime nature activities that are sure to be enjoyed in any Montessori environment. The late Montessorian Kathy O’Reilly uses eggs as the focus of food related exercises. Her multiple subject integrated approach is supplemented with a Booklist for additional extension lessons. This post contains only a very small sampling of what is offered in this newsletter.All of the lessons contained in the newsletter are free of charge. Visit http://www.amonco.org/montessori_spring_handson.html to download the newsletter in .pdf. Winter and the holidays are now just around the corner, and once again, the AMC resource participants have not let their readers down. Many of the participants have contributed outstanding lesson plans, recipes, crafts and other interesting activities that you can use right now in your school and home classrooms. Below, are just some of the highlights of what you will find in this issue. Rae, from the Creative Process, has offered numerous free activities that will spark the imagination of your students: Scribble Designs, Masks and Mask Making, A Sharing Food Unit Study, Teaching Alternative Energy Ideas, and some timely information to help you get ready for a “new” year will all add some zip to your winter lesson planning. The North American Montessori Center (NAMC) offers a blog filled with Montessori activities for school and home school educators. See the end of Part I to discover the Montessori Magnetic Chips, Snowman Picture and Christmas Flower Arranging activities. A yummy Old Fashioned Sugar Cookie Cutouts is a delicious treat that you will want to include for your holiday celebrations. Nan Barchowsky has generously contributed her Big Numbers Writing Activity. Receive directions and templates for a writing activity that you can use right now with your children. Why not have some hands on science fun this winter? John, from Exploration Education, introduces the “Air Lift” and “To float, or not to float?” science activities. Next, turn your attention to creating some integrated social studies lessons by using the Christmas in Australia unit study. Finally, try your hand at making a delicious crustless pumpkin pie. Receive a direct link to a Montessori Napkin Folding exercise courtesy of the North American Montessori Center (NAMC). Children will enjoy this practical life exercise as they participate in preparing the holiday dinner table for guests. Nothing smells better during the cold autumn and winter months, than walking into a room filled with the smell of baked apples. The Ginger-Coconut Baked Apples recipe submitted by NAMC is sure to delight your family and friends. Dale has also shared the Montessori Button-Buddy and Acting Out How Animals Survive Winter exercises. This latter exercise will greatly aid children in their understanding of hibernation, adaptation, and other key science terms. Receive step-by-step instructions on how to present these lessons, plus extension exercises for further applications. Richard, from LORD Company, has uploaded some various Montessori related free materials for you to use in your school and home classrooms. You will also find two geography-based resources in this section of the newsletter. Download a free set of Land and Water Forms Cards from LORD Company. Birdcage Press has provided an amazing set of materials that can be used for a unit study about ancient Egypt. Are you looking for something different to bring this year to your favorite annual holiday potluck? Let Sara Ambarian walk you through the steps to creating a delicious Ginger Turkey Salad. Just click on the link above to get the recipe and additional accompanying information. The Scented Basket project, contributed by Mariaemma of Coaching for Learning Success, provides an opportunity for your students to learn more about art, and they will end up with a special holiday gift in the process. Dianne, from Conceptual Learning, provides yet another tasty Nutty Chocolate Pudding Squares treat that will be enjoyed by guests at your holiday parties. 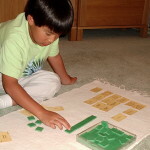 Dianne has also contributed some outstanding Montessori Math Sequencing lessons in .pdf Elaine, from Kimbo Educational. Kimbo has a number of multicultural CDs and songs. In this section of the newsletter, you will find some lyrics from Kimbo Educational’s new Hanukkah and Chinese New Year CD. You will also receive some valuable resource lesson planning information for the Chinese New Year. Dr. Borenson, from Hands On Equations, has once again contributed a free hands-on algebra activity. In Part IV, you will also discover more about the free Montessori Animals in the Winter unit study. Hands On Equations has recently unveiled some exciting new algebra program apps for the Android, iPad and iPhone! See Part IV for details. Are you tired of including the same holiday side dishes to your holiday meals? Why not try some additional new recipes this year? Let Sara Ambarian show you how. Check out her Zesty Cranberry Relish and Cheesy Baked Cauliflower recipes here in Part IV, plus other new tasty recipes that have been added to other sections of this newsletter. Have some fun with words pertaining to food this winter! Alan Stillson has generously contributed to yet another edition of the Montessori seasonal newsletter. See this section to access the free Middle School Word Puzzles by Stillsonworks. The Handprint Towel activity is a wonderful hands-on project, with the dual effect of doing something truly meaningful with children and helping them to create a gift with lasting memories. The younger set will also enjoy Karen’s special Pumpkin Pie Scented Playdough recipe. Ligia, from Childsake, submitted an easy to make, delicious Holiday Cheesecake. Yum!! Next, get ready for some sizzling science with The Little Big Bounce Science Activity! Finally, Montessorian Dianne Knesek has generously shared some Montessori math based lessons that your children are sure to enjoy!. You can find instructions to downloading some of her free “Exchanges” and “Roman Numerals” activities by clicking on the link above. Another recipe that is sure to delight the chocolate lovers in your family is Farmer’s Favorite Fudge recipe, courtesy of Farm Country General Store. Gert, from Kimbo, shares her personal holiday favorite recipe for our special winter issue. Read the history of The Grandma Cake – A Celebration Tradition and encourage the children in your life to make their own special Grandma Cake. Elaine, from Kimbo Educational, makes informal entertaining quick and easy with her delicious Spinach Dip Recipe. Elaine also provided a literature link activity for Three Little Kittens. Alan Stillson has included an interesting holiday-themed song from his hit play, I Remember Lou. Now, for some soapy science fun!!! You read that right. John, from Exploration Education contributed a free Soap That Grows lesson in .pdf which contains all of the illustrations, pictures and detailed lesson plans you need to make this activity a success. As the weather cools down, many of us will spend more time in the kitchen. We’ll be making the usual family favorites as well as trying different recipes that are eye-catching. Another new recipe added to this issue, Bauernfruhstuck, (German Farmer’s Breakfast), is presented by Anna and Wolfgang. Take a stroll from Germany to France to discover a light and fluffy French favorite. Professor Toto offers the French Crepes recipe which will tie right in with an existing Montessori curriculum. This practical life exercise can be used as part of a unit study about the French culture; or, it could also be used for specific multicultural celebrations. Last but not least, this dish would be a scrumptious addition to any holiday meal. Rita, from homeschool.literatureplace.com, has written an interesting article for homeschoolers. Historical Fiction: Where Fact and Fiction Merge Planning a New Literature Program for Your Child will be a boon for parents who have been searching for ways in which to select and organize their booklists. Music lovers will appreciate the winter-themed music lesson planning ideas featured in this section of the newsletter. .The Winter by Vivaldi unit study can be used in conjunction with art, science, existing music and geography activities, to name a few. to view this entire lesson plan. Now that you have some new lesson plans, delve in and begin to put some extra sparkle into your school and home school settings. I wish you a fun-filled winter. Visit American Montessori Consulting and look under New and Notable for additional articles and free lesson plans. Take advantage of this absorbent period of your students’ lives with lots of time in conversation and reading aloud. For more read-aloud fun, look through these suggestions of spring-themed books. Anytime is a good time to reinforce children’s interest and proficiency in language skills, so why not try something new today?! Autumn is just around the corner, and the AMC 2014 Fall Hands On Newsletter is filled with ideas to help make Autumn 2014 truly meaningful for the children in your life. Most of the ideas, lesson plans and other creative offerings have been generously donated by the participants of the AMC Resource Center http://www.amonco.org/directory.html, and I have contributed a few myself. This newsletter is free of charge and contains free lesson plans, recipes and crafts. Perhaps, you don’t live in an area where you can see the change of seasons firsthand. You have only seen the changing color of the leaves via a travelogue and can only imagine such majesty of nature. In Part I of the AMC Hands On Fall Montessori Newsletter, you will find the resources you need to help children learn about how and why leaves change color and how to grow and pick pumpkins and other aspects of fall gardening. Links to apple unit studies and apple recipes and crafts and more are available by clicking here and other sections of this newsletter. Plant a Tree Curriculum Resources & Lesson Ideas. Dale, from North American Montessori Center, has contributed many Montessori presentations, including two excellent practical life exercises for this issue. Second, Dale has whipped up a delicious Montessori style Making Applesauce practical life exercise and recipe. See Part V of this newsletter to access this practical life exercise plus additional Montessori lessons contributed by North American Montessori Center. Experience the delicious Apple Sauce Parfait recipe from Cooking with Children Can Be Easy.. Kathy O’Reilly told me that she had used this recipe with toddlers (18 months) through adults (81 years) and that it tastes kind of like apple pie. Sequence cards, shopping list, station setup of equipment, booklist, finger play and extension activities are also provided in this lesson plan. Kathy O’Reilly was a much beloved person as well as Montessorian. As a special tribute, her daughter, Sarah, wanted to share two of Kathy’s recipe with AMC readers. Don’t forget to download both the http://www.amonco.org/creative7/montessori_fall7.pdf to access the delicious the Apple Angel Food Cake recipe courtesy of Montessorian Dianne Knesek from Conceptual Learning. Gourmet chef Cherry Mae Miro, contributed some Filipino favorites that can be incorporated in holiday and multicultural gatherings. See Part VIII. Cherry Mae has also included some additional mouth watering recipes for the fall and winter holidays. See Part VI to access the information. Gari, from Music for Little Folks contributed a very special chocolate pudding recipe. Visit Part IV to access the recipe. Elaine, from Kimbo Educational, forwarded a special Spider Cookies recipe which you can access by clicking here.All of these recipes are perfect for autumn parties. The Danish Aebleskiver contributed by Rae of the Creative Process, Lithuanian Cranberry Cake by Ligia of Childsake http://www.amonco.org/creative6/montessori_fall6.pdf and the German Oma’s Cake shared by Carolyn of Excellence in Education are three recipes that are perfect for the upcoming fall and winter months. Carolyn has also used the dough in the classroom for many creative projects. Georgette, from Cantemos, will lead you step by step on how to make a guiro. Think of the fun this musical instrument will create in your school and home classrooms. It will add much to multicultural discussions involving music and musical instruments of Latin America. Visit this link for details. Marjorie, from Classical Magic, developed a well designed lesson plan for autumn by Vivaldi – from The Four Season. See Part VIIY ou will discover that her very creative ideas can be adapted for various age groups. The Classical Magic program is now available through Sing ‘ Learn. See Part VII to access the free lesson plan and to connect with Sing ‘ Learn. In Part III, Dale Gausman, from the North American Montessori Center, shares two great back to school exercises. 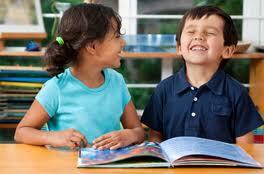 To access The Friendship Tree and the Getting to Know You Exercises click here. In Part V, Dale from North American Montessori Center, provides a very organized practical life exercise that includes the materials, presentation, setting up, sewing and finally finishing a Friendship Quilt. See Part V for details. Lois, from Bountiful, forwarded an easy to knit pattern that is perfect for beginners. Visit Broken Rib Scarf with Seed Stitch Border – EASY BEGINNER PATTERN to access this information. Ruth, of Ruth Dilts Design, contributed complete instructions on how to make coasters. See Part VI for details. Anna, from Wood, Etc., suggested that young children make Zebras which can be used in an Animal Safari unit study. This project is indeed easy and inexpensive to make. Click here for more information. Nan Barchowsky has generously shared her writing pattern activity and a brand new calligram. This activity is available in .pdf for downloading. Take a moment now, to download your copy. Visit Part VII for details. In Part VI Rae Petersen, from The Creative Process, shares Educational Posters Directory, Resources Guide for Lifelong Learners, Classrooms, and Homeschoolers. Montessorian Dale Gausman, of North American Montessorian Center, shares some marvelous ideas that you can use right now in the article Montessori Cosmic Education and Peace: The Outdoor Environment. See Part V for details. Click here to access the Color Wheel Lesson Plans shared by Rae of Creative Process. Rae tells us that these lessons can be adapted for elementary age through adult learner, and by seeing what is offered I thoroughly agree. The ideas can be integrated in art, social studies, writing, and science lessons. Rae also submitted her new Make at Home Craft Recipes. See Part III to access the lesson plans. The Painted Kitchen Trivet Gift, courtesy of Fun Felt is a marvelous craft that serves as a unique gift. By clicking here you will find a Wood Dough Recipe for Sculpting from Richard Lord of LORD Company, and a Turtle Drawing Lesson form Kim, of Draw Your World. Richard’s recipe is a great practical life extension exercise. Kim creates integrated lessons that develop handwriting, drawing, science and more. These lessons can be customized for different age groups. John, from Exploration Education, will walk you through the science activity SIMPLY SOUND, which helps children understand the properties of sound, and they will actually have fun doing so. Visit Part VIII for details. Don and Diana, from Nature’s Workshop Plus, have authored the article Delighting in Discovering Little Things. Set aside time to read this informative piece. Children will discover new ways to see the world through a hand held magnifying glass or microscope. See http://www.amonco.org/creative/montessori_fall4.pdf to download this information. Part IX for additional information. See Part IX to access the Birdcage Press art activities. Combine Learning and Fun at Art Museums article plus links to the Treasure Hunt, Art Collector, I Spy an Eye and Scavenger Hunt games. In Part III and Part VI, Dr. Borenson of Hands On Equations has provided some free algebra samples for you to present to your children. click on Part 3 and Part 6 to download the exercises. It’s time to create a fall themed unit about how Canadians celebrate Thanksgiving. Read Celebrating the Harvest: Thanksgiving in the Great White North and discover how you can create interdisciplinary lessons that are both enlightening and meaningful. Then, invite your students to step back in time to study of the lifestyle of the Pilgrims. In Plymouth, Massachusetts: A Local Perspective on the Pilgrims, by Sara Ambarian, you will find an outstanding overview, resource links and other information which will enable you to create a unit study on this topic. Next, invite your children to take a tour of Italy. Now, that you have some new lesson plans, delve in and begin to put some extra sparkle into your school and home school settings. I wish you a fun filled autumn. With autumn approaching, it’s time to review what’s new and relevant for the autumn months. Many of us have wonderful memories of our childhood summers and/or look forward to the summer fun with our own children, grandchildren, or other young people in our lives. There is certainly no question that the summer months are full of possibilities, both for fun and for learning. The AMC Resource Partners shared some of their favorite summer memories, from childhood and now, in “Summer Fun Makes for Summer Memories”. http://www.amonco.org/summer8/montessori_summer8.pdf In this article, you will also find tips for successful road trips, accessing junior ranger and other summer programs, encouraging creative pursuits and cooperative projects, and more. Check out these websites for some interesting general summer lesson planning resources. Summer can also be a relaxing time to work on creative writing. Here are some ideas, if your students need a little nudge of inspiration to get started. Shopping, cooking, chores, travel, and many other activities offer great opportunities to practice and put to use the math concepts learned during the school year. For more-structured summer math fun and practice, check out these free resources.